1. 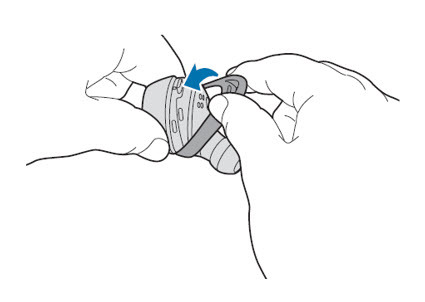 Select the earbud tip that fits your ear. 2. 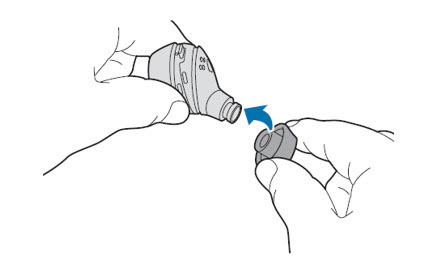 Cover the latch at the bottom of the earbud with the earbud tip. 1. Select the wingtip that fits your ear. 2. Select the wingtip for the left or right ear. 3. Cover the earbud with the wingtip. 4. Follow the same procedure for the opposite earbud. Note: Do not put the earbuds in your ears without earbud tips and wingtips. Doing so may hurt your ears.